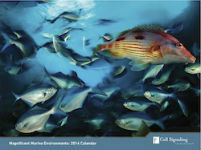 Get a free Magnificent Marine Environments 2014/15/16 calendar. Tick the box next to the one for the free calendar and fill out the form to request one for yourself. Hi Debbie, please follow the link provided to request your calendar directly from the company who would mail it. Cheers! Please send me a free 2017 Magnificent Marine Environments calander. Thanks so much!!! It looks very entertaining.Cant wait to get it. THIS CALENDAR LOOK VERY BEAUTYFUL. THE FLOWERS LOOK ALIVE.